These words spoken during the imposition of ashes mark an important ritual in our worship practice. Ash Wednesday, the beginning of the Lenten season, finds us acknowledging a stark reality: our mortality. We practice this ancient rite with Christians across the globe as we enter the season of repentance, renewal, and reconnection that is Lent. On Thursdays in Lent this year, we will be worshipping around our tables in the Fellowship Hall for ‘Dinner and Devotions.’ We, as a church family, will practice what is observed in some homes as a time of conversation and connection, searching and sharing, listening and learning. This is a conversation driven worship centered on a brief Bible reading and followed by questions based on personal experience. Everyone will have something to say! And, we will celebrate communion too! Join us for a brief ecumenical worship hosted each Wednesday by local Pastors. Lunch to follow in the Fellowship Hall. It is Trinity’s turn to host. Everyone in the community is welcome! 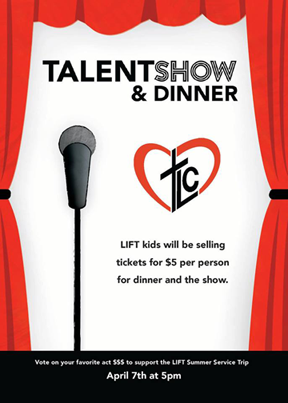 Gather in the Fellowship Hall for a simple meal @ 5:30 followed by worship @ 6:30 around the dinner tables. This year’s theme is ‘Dinner and Devotions’ and focuses on God’s work among the people of Trinity. Come for connection and communion. Trinity is hosting the noon community Lenten Services and lunches. Services will begin on March 13 and continue through April 10. Six volunteers are needed each week from 10:30 a.m. to 1:00 p.m. to assist with food preparation, set-up, clean-up and welcoming our guests. Also six salads and desserts are needed weekly and should be delivered by 11:30. A sign-up sheet is posted on the board located outside the narthex. Jeanne Stark is coordinating the hosting of these services and may be reached at 728-0637 if you have questions. Thank you in advance for assisting and making this a meaningful spiritual event for our community during this Lenten season. 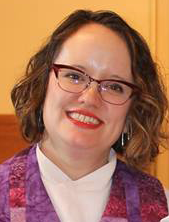 All Women of Trinity Lutheran Church are invited to attend the 2019 Elkorn (WELCA) Conference Spring Gathering, Saturday, April 27, 2019, from 9:00 a.m. -1:00 p.m. Lunch at 12. Registration/Refreshments at 8:00 a.m. Welcome and Keynote speaker at 9:00 a.m.
More information to follow. Hope to see you there. Prayers requested for . . . Debbie Pierce, Sharon Bleecker, Ruth Smithback, Rhonda Cook, Marsha Anderson, Kim Hannan, Karen Weber, Donna Weeks, Linda Doerr, Judy Almquist, Shelley Weber Schaitel, Andrew Campbell, Vern Borchardt, Isaiah Gravelle, Sandy Anderson, Tyler Waters, Jeremy Schepp and those we name silently in our hearts. The Sunday school staff and students would like to thank the congregation for their generous support of our Souper Bowl Sunday Project. As a congregation, we raised $1,005 and filled more than three grocery carts with food. The money has been sent to support ELCA World Hunger programming and the food was delivered to the Fort Atkinson Food Pantry. Thank you for modeling generosity to the children who attend Sunday school at Trinity. March 24 – NO SUNDAY SCHOOL. Instead, people of all ages are encouraged to gather for treats and fellowship during the Sunday school hour. April 14 – Celebrate Palm Sunday! Students with last names beginning with A-M will sing at the 8:15 service, N-Z at the 10:45 service. Students, please sit with your family. If you are unable to attend your assigned service, please attend the service that works best for your family. April 28 – Fourth grade First Communion Workshop for the Spring group. This workshop will be held in the Fellowship Hall following the 10:45 service. The workshop includes a casual lunch, making communion bread and instruction with Pastor Amy. Each student needs at least one adult attending with them. May 12 – Celebration of First Communion for the Spring group of the 4th grade class. Families may attend either worship service. To celebrate this meaningful event there will be a reception in the Fellowship Hall from 10:00-10:30 for these students and their families. Trinity’s book discussions always welcome new readers. We read a variety of styles of books. Our upcoming book is along the lines of a Bible Study, with scriptural references used throughout the book. 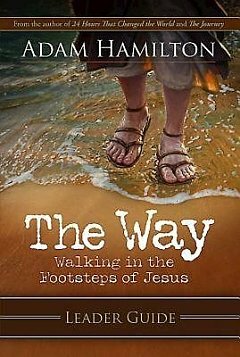 During the season of Lent, we will be exploring the book The Way by Adam Hamilton, a Methodist minister and author. Our discussions will be on Wednesday evenings beginning February 27 and continuing through April 10. We will gather around the tables in the main level kitchenette at 6:00 p.m. There will not be a book discussion on Ash Wednesday, March 6. Adam Hamilton has written a book about his travels to the places described in the gospels. Each chapter summarizes a part of Jesus’ ministry, and brings new insight to some familiar Biblical passages. The books are available in the church office. The cost is $12.50. Please have exact amount or write a check to Trinity and mark it book discussion. You are welcome to buy the book even if you a unable to join the discussion. Contact Julie at julievtlc@yahoo.com or 563-4145, ext. 4. During the season of Lent, there will be a variety of mosaic crosses on walls and bulletin boards throughout the church. You are invited to color in a small section of the design on the cross and offer a prayer up to God while you are coloring. Worshipers of all ages may participate in this prayerful activity. Individual mosaic cross coloring sheets will be available for members to use at home. Individual coloring sheets will be sent home with every Sunday School student along with suggestions on how it could be used during the season of Lent. The devotional book, Lasting Hope Devotions for Lent 2019 will be available on the small table in front of the main office window. This small, beautiful, full-color Lenten devotional explores some of the Psalms, one for each day in Lent. Each reading is accompanied by a photo, a quote to ponder, a reflection and a prayer. No cost. One per family. The devotional readings begin on March 6, Ash Wednesday. Join me for pizza at 6:30 and then we’ll head up for worship at 7 p.m. Please let me know if you are coming so I can order enough pizza. We need volunteers for March 14 and March 28, 4-6:30 p.m. Please contact Kitty or Bea if you are available. We’re diving deeper into our faith! If you are between the ages of 18 and 25, please join us in the youth room! Thursday, March 21, 6 p.m. Confirmation class: Sunday, March 10 all grades 9:30 a.m. Many heartfelt thanks were given by the elementary schools in receiving two generous donations of children’s winter clothing. Hats, mittens, gloves and other assorted winter wear will now be put to good use.